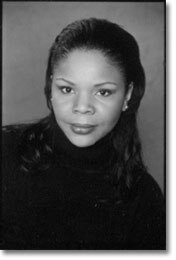 Yvonne Bynoe is a nationallly respected writer and speaker. She's an author and lecturer whose work combines the relevant issues of politics, culture and economics within the context of American popular culture. Bynoe has been called one of the most important voices of her generation. Famed scholar Manning Marable called Bynoe, "one of Hip Hop Culture's most insightful observers." Duke University professor Mark Anthony Neal, author of several books on popular culture including, That's The Joint: Hip Hop Studies Reader, said that Bynoe is a member of "the Hip Hop intelligentsia." Currently, attorney Bynoe is a regular commentator on the National Public Radio (NPR) program, News and Notes with Ed Gordon. Bynoe is the author of the book Stand and Deliver: Political Activism, Leadership and Hip Hop Culture (Soft Skull Press, 2004). Her second book, The Encyclopedia of Rap and Hip Hop Culture (Greenwood Press), was published in December, 2005. Her writings have been included in university curricula across the country.